I wasn’t sure I wanted to share the story then. Part of me isn’t sure I want to share the story now. The book Leslie interviewed me for released this week. It’s called Forgiving Our Fathers and Mothers. It’s a book about relationships and respect and the messiness of forgiving our parents. I worry about hurting the people that gave birth to me in the retelling of the story. I stumble over how to tell the story with truth and respect and love. I’ve always known that my parents love me and only want the best for me. Which is why years before I met the man I married I sat down and shared a list of character traits with my parents that I hoped my future husband would have. I asked them to help me see through the blindness of love, to look for character over a good-looking face. A few years later I bought Xylon home, a man who to a greater or lesser extent ticked every box on my character list. He bravely told my father he would like to marry me one day. My parents confessed to me a week or so later that they thought I should marry someone of the same skin colour and culture as me. I loved my parents and they loved me. I’d been brought up in a home where people of many races and languages had come in and out the door like family and now they were saying it wasn’t okay for me to marry someone different from us. Xylon and I broke up. I felt the best way to honour my parents at the time was to take a step back from the relationship, to disentangle myself from feelings so I could try and see the situation from their perspective. My mother and father had grown up in different world to me. I didn't see that as an excuse but I did realise that the lens they viewed the world with was different to mine. I prayed. I fasted. I talked through it with couples who had mixed skin colours and couples who had skin that matched. After eight months I felt like I had moved to the point where I felt that sometimes you can honour your parents and disagree with what they think. I told my parents if Xylon still wanted to pursue a relationship with me I would do it. I remember standing on the grass in front of the house with tears rolling down my face. The salt licking the wounds on my soul and telling my father that I loved him but I didn’t agree with him. I also told my parents that I forgive them. I never really felt unforgiveness towards my mother and father but somehow standing there that day I saw that there was potential for bitterness to grow in the future. I wanted to have a good relationship with my parents. In fact I wanted more than anything for my relationship to be healed. Two years later my father walked me down the aisle to my husband under a canopy of trees dripping rain. Eight months after that my parents helped us through my husband’s cancer diagnosis and subsequent treatment. I can’t imagine our lives without my parents support, but without forgiveness our relationship would have been ruined. I hurt my parents and my parents hurt me but we chose to forgive and move on and build a stronger relationship. I think we managed to do this because my parents had learnt to practice forgiveness in their lives. They had taught me as a child to forgive and not hold onto pain, to use forgiveness as a reflex when I was hurt, not to justify the other persons actions but to free myself from those actions. 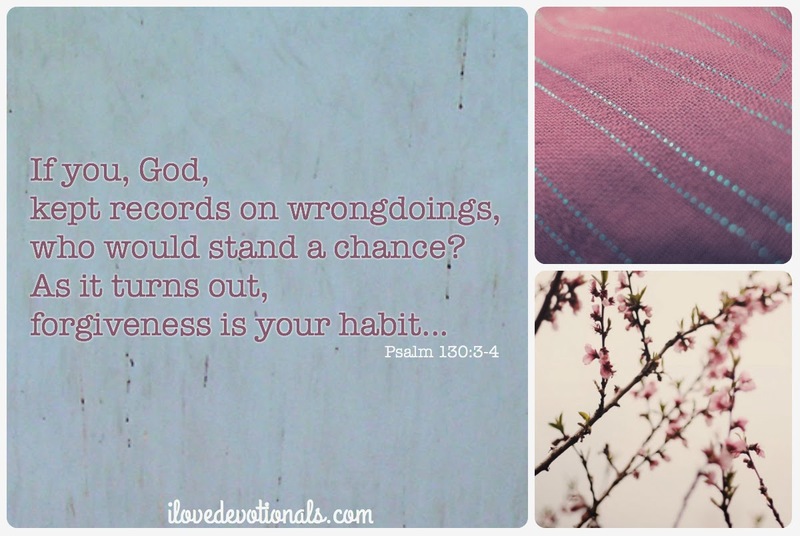 There’s a verse in the bible that speaks about how forgiveness is God’s habit. I like that. 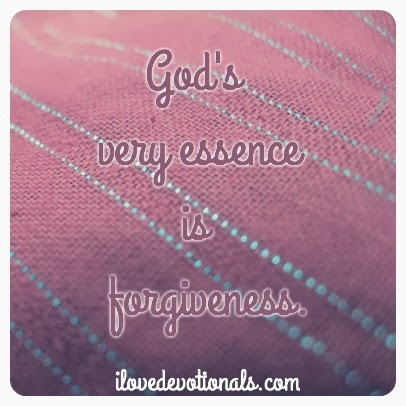 I imagine God wearing forgiveness like a nun. Walking around with it cloaking his very being. It also makes me think of God forgiving the same way I absentmindly comb my hair back behind my ears. Forgiving can be hard but I’ve found that when practice forgiving quickly, when I forgive rather than hold onto my anger or pain or confusion it can become a habit, a habit that gives me the chance to find healing and hope. 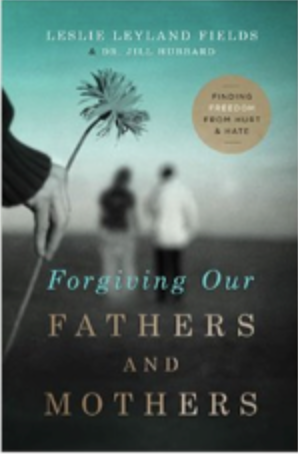 Ponder: Do you struggle with unforgiveness towards your parents? Please share your stories of forgiving others in the comments to encourage others. If you struggle with the deep pain of a broken relationship with a parent then you might want to buy the book I refer to in this post. Through Leslie Leyland Fields and Dr. Jill Hubbard’s own compelling personal stories combined with a fresh look at the Scriptures, Forgiving Our Fathers and Mothers illustrates and instructs in the practice of authentic forgiveness, leading you away from hate and hurt toward healing, hope, and freedom. You can buy the book on Amazon here.